Hungry Howie's is the home of flavored crust pizza! Try one of their specialty pizzas...or choose a salad, wings, calzone or delicious Howie Bread and Howie Rolls. Meal deals start at $5 up to $20. 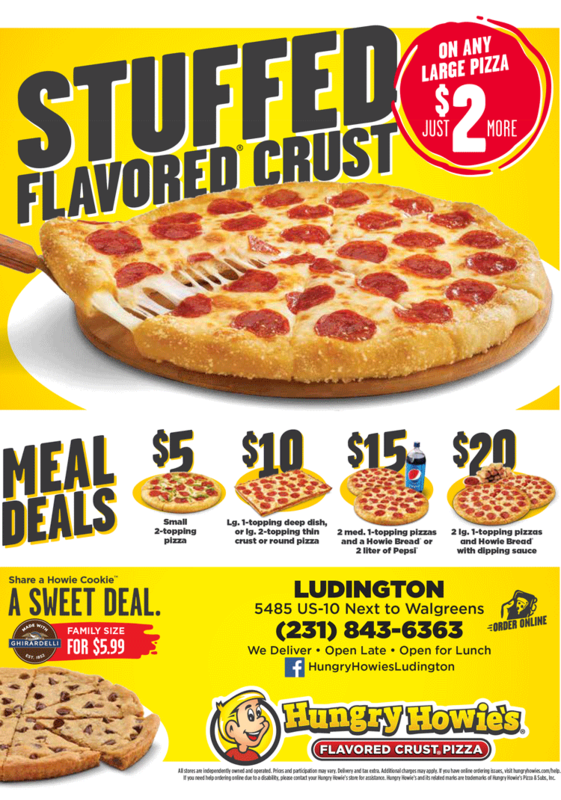 Open for lunch, and Hungry Howie's delivers in the Ludington, Scottville and Hamlin Lake areas.